Things could be difficult for the newly wedded bride as she has to adjust to completely new surroundings. So, if she is registered as a voter and has her name in the Voters’ List for the new address, this move might give her a sense of belonging and help her feel at home. Hence, for a husband the registration of his wife and getting her a Voter ID Card by filling Form No. 6 should be a task of utmost priority and something that should not be delayed or neglected. The women have a 49% percent share in the voter force and hence their opinion is really important for the nation. They have a huge influence on the way things should work in our country, hence the registration of each and every woman is necessary. Hence, both men and women should make sure that it happens. i live in jamshedpur ,married on 22 november 2017,wife is from ranchi ,how to update her voterid card online . i have to change my wife address, but when i tried to apply online no options showing for marriage certificate as address proof in form 6. kindly advise. Do a woman have to remove her name from her city before marriage and then get enrolled into the new city OR can she directly register for voter id in the new city. After marriage my voter card sur name & address change. Plz constituency changed.. what forms will i need to fill in online procedure…Marriage certificate is a proof of marriage. i have recently got married and I’m from Uttar Pradesh married in west bengal. 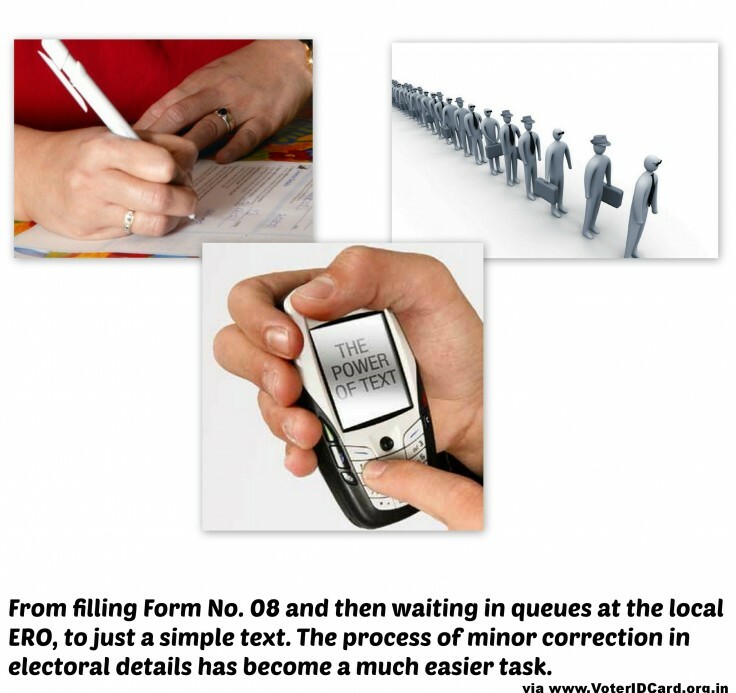 i want to get my name and address and constituency changed.. what forms will i need to fill… form 8 or form 6 ? Marriage certificate is a proof of marriage, for ID proof can be her PAN Card, Driving License, Passport etc. Address proof can be Passport any government utility bill like light bill, electricity bill etc. However if she does not have any of these in her name, the the Husband’s address proof can be given. Since the name of the Husband is mentioned in the Marriage certificate the husband’s proof is valid for her address proof as well. i want to change my address on my voter card.help me please.